It’s hot, it’s humid and you have no cover what so ever. The High UV Buff® as legionnaire style cap gives you cooling & protection. The fabric turns your sweat into a cooling effect. Way better than running in your eyes. The fabric also increases skin cancer protection. UPF20 in one layer and UPF50+ in two layers. Guaranteed and certified. This image was part of a testimonial. 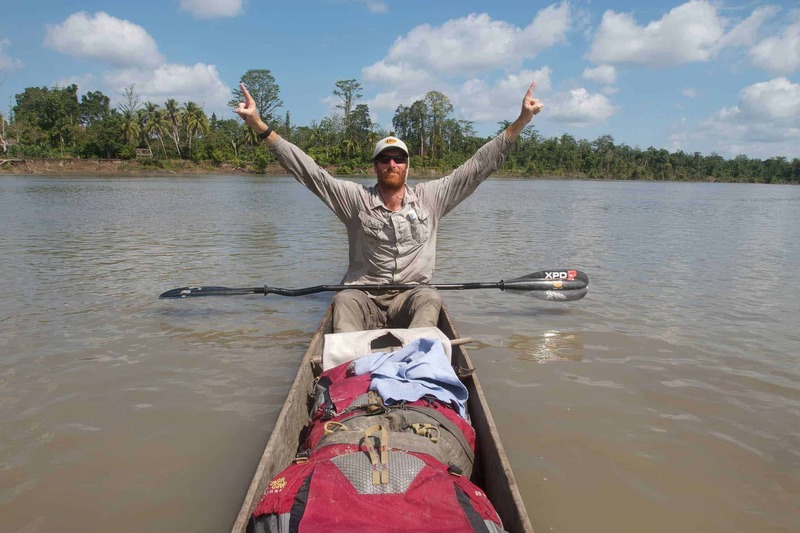 Clark Carter gave us a bunch of images from his Sepik River Expedition. Together with is partner Andrew Johnson he explored the river from the spring to the ocean. The first of its kind. It’s Andrew shown in this image. Andrew loves the Visor Buff® as he wears it all the time. The Visor Buff® is made out of the High UV Buff® fabric. The design pictured is a logo design.